I've put together a few accessories for Jaynie. This basket was easy to make following the tutorial from The little blue room . I just put this together quickly to see if the shape was really as easy to get as it showed, it was. The tutorial was not made as a mini item so a few adjustments had to be made, but that was not difficult. I used a 3 x 3" piece of card stock. The basket (not counting the handles) came out to about 1 3/4" long, just under 1" high and 1" wide. This size would be good for a floor basket filled with knitting supplies or magazines. Next time I'll try it a bit smaller and add a bit more details, like the shading and handles in the tutorial. This is my quick version of a modern planter, it doesn't show well in this picture, it look better in real, really. See the tutorial from Mini Dork at Modern Mini Houses . I used a small plastic bead tube and some dried grass from Dollar tree. I sorted some of the smaller stones out of a package of chips but they are a bit too big. I need to find some finer rocks so that more branches can fit in. While I had the stones out, I picked out a few to use with a candle (a birthday cake candle). Jaynie is happy with her new items. Did you notice the carpet, that's new too, upholstery fabric from Joanne Fabrics. Oops, I forgot to put the basket in the scene. 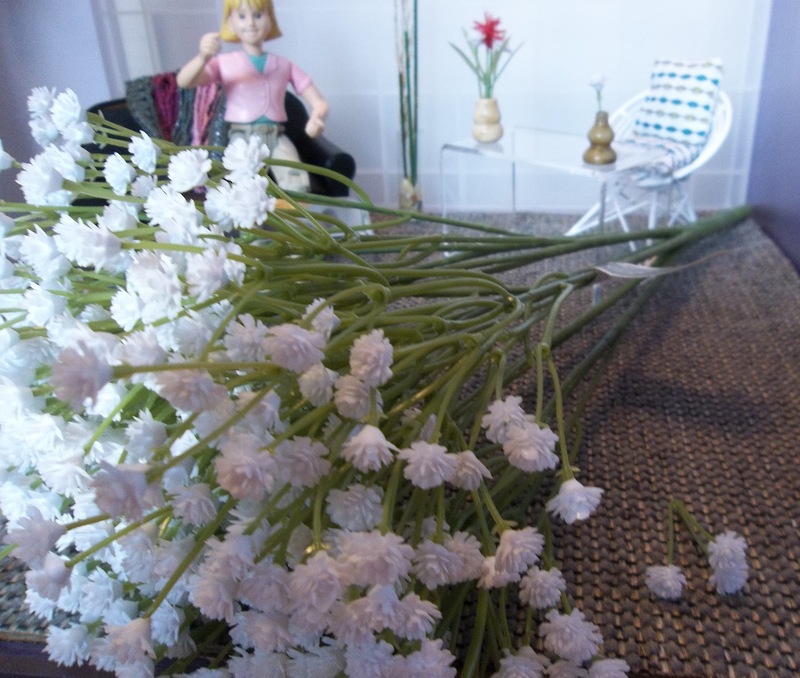 Jaynie was very happy when I came home with this giant bouquet of white carnations (imitation baby's breath in 1/1). We have enough carnations to last a life time plus some to share. Here is a close up of the little bunches of 3. Would you like to win a dozen carnations, sign up for My Give-Away . If you are already signed up leave a comment here if you would like these as part of your prize if you win. Let me know if you would like this vase, I also have some that are a bit greener and some more yellow. 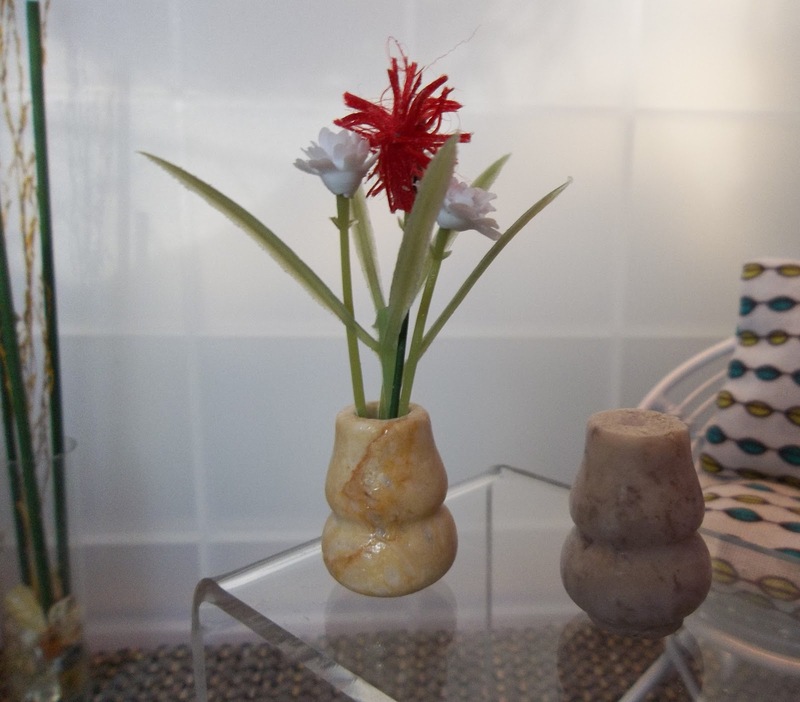 And a couple more stone bead vases. I reamed out the orange-y one, now it looks more like a vase and holds more flowers. The grey one is not reamed, I started it but its a lot harder than the other one. Please let me know what you like. The chair and pillows were a swap gift from Cyd of Mini Mod Pod . I like the basket. Thanks for the link. I like the vase with flowers. You're Welcome Faby, I hope you have fun making the basket, I did. Great work. Thanks for the ideas and link. Your carpet is very nice too. 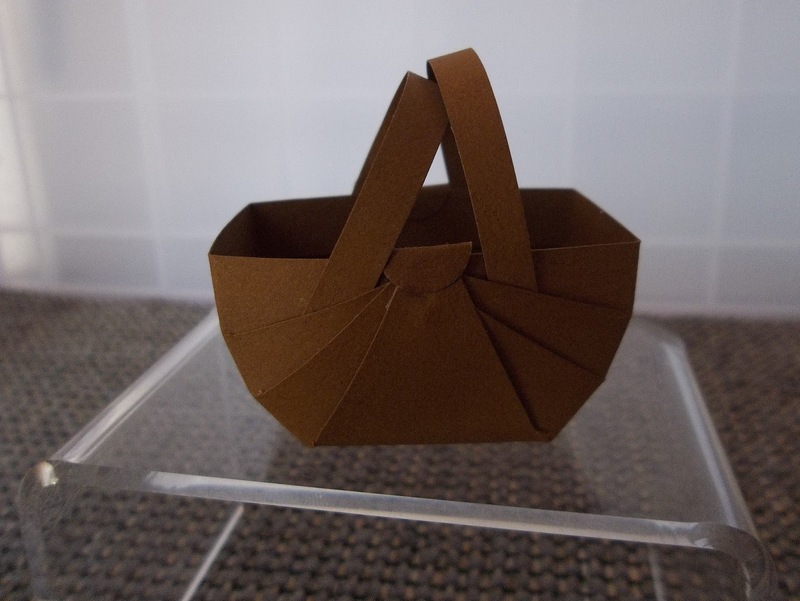 Wow Mary, The basket is stunning! Thanks so much for the link. I love the vase with flowers in the last photo. Great work and wonderful ideas. Que linda te ha quedado la cesta Mary!, voy a probar con el enlace. Y tus claveles on muy bonitos. Mary! I did not know you were still blogging- I have not seen you come up in my feeds! I rejoined your site in case so hopefully I'll see your posts again-I'm so happy to see you still doing minis :) I love your basket- and the plate with the candle and rocks is so pretty- great idea! 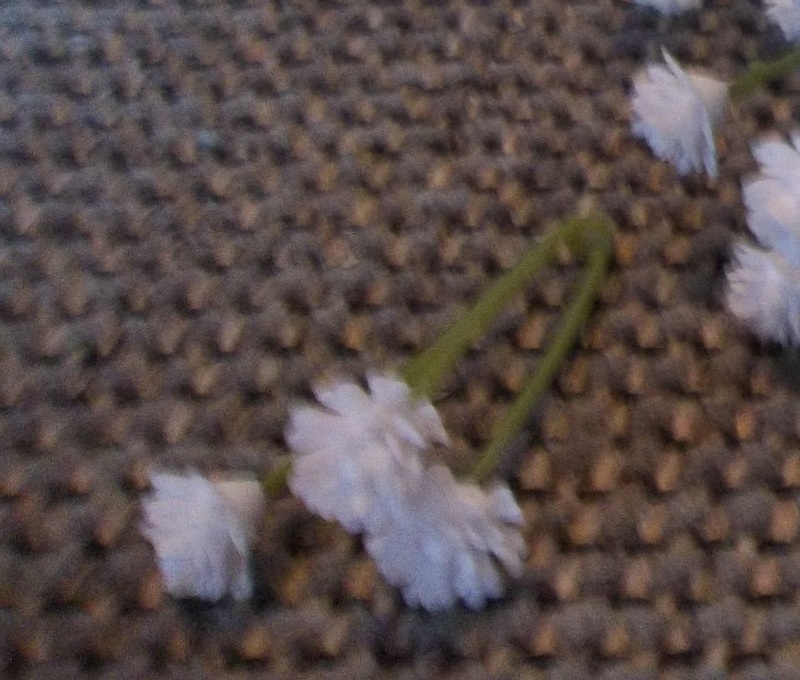 The bush you found for carnations really do look like carnations- what a great find! hugs to you!! !